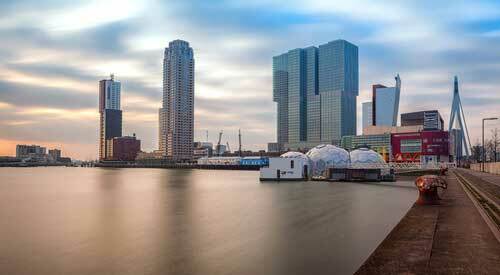 The Rijnhaven (Rhine Harbour) lies at the heart of the “Kop van Zuid”, the new centre of Rotterdam on the southern banks of the River Maas. Recent years have seen a great deal of new housing and other construction on the north and west side. On the southern side, water-based activities are gradually disappearing. As a result, the harbour is being used less and less for shipping. In the lead-up to a development tender competition from the city of Rotterdam, a large consortium was formed that included Siemens, Arcadis, Van Gansewinkel, ABC Arkenbouw, Floatbase and Monteflore. Various architects and civil engineers also joined the consortium. 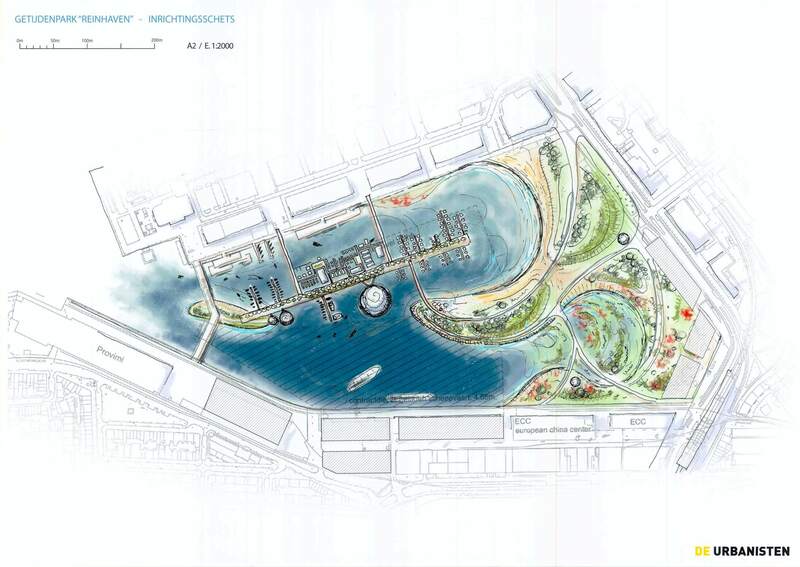 The consortium developed a plan for a tidal park and a large floating village in the centre of the harbour. When the final conditions for the competition were announced, the consortium decided not to submit its plans.